Having finished the McCalls 6754 dress, there was just enough fabric left over for a short sleeve tee top. Using the basic block from Paolina, I made quick work of yet another top for my fast-expanding wardrobe of jersey tee-style tops. Not a lot to say other than this is a dream to wear as the fabric is very soft and super stretchy. Being constructed of entirely synthetic fibres I am not sure how nice it would be to wear in a hot climate but for the Autumn,underneath a cardigan, it is fine. 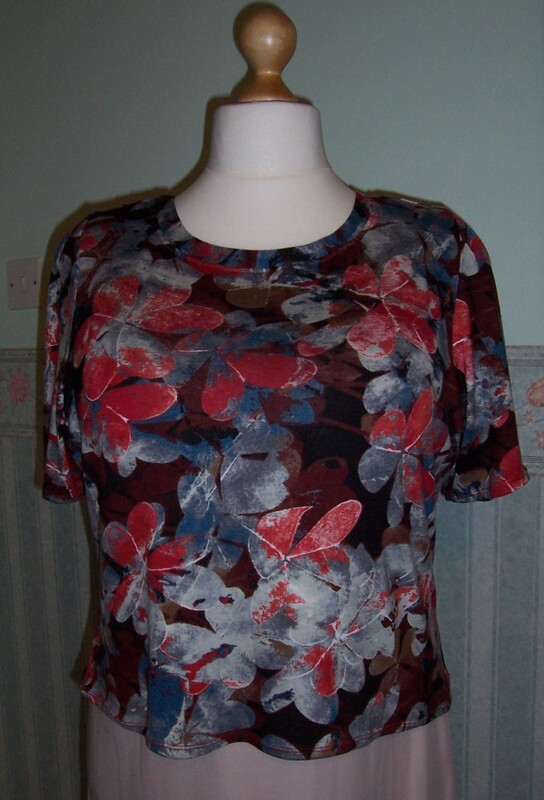 I love the print and am sure to get a lot of wear out of this ‘free’ top!